These two projects are fitted within a newly built house. They bring interest, colour and a lot of personality to this lovely new house in Hampshire. Both windows are encapsulated into sealed units to comply with the latest building regulations. There is a really rich mixture of glasses within both panels. 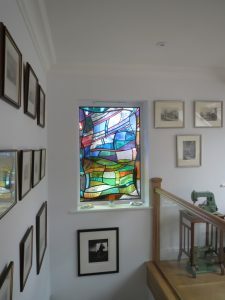 I use a lot of mouth blown antique glass mixed with streaky machine made textures to really make the most of the light. The front door stained glass is painted and fired in the kiln in the traditional way, using methods little changed in centuries. 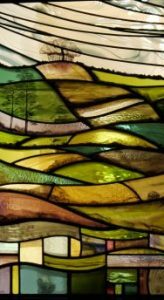 I am so inspired by my own landscape here in The Surrey Hills AONB and so it was such a pleasure to make these for my clients. 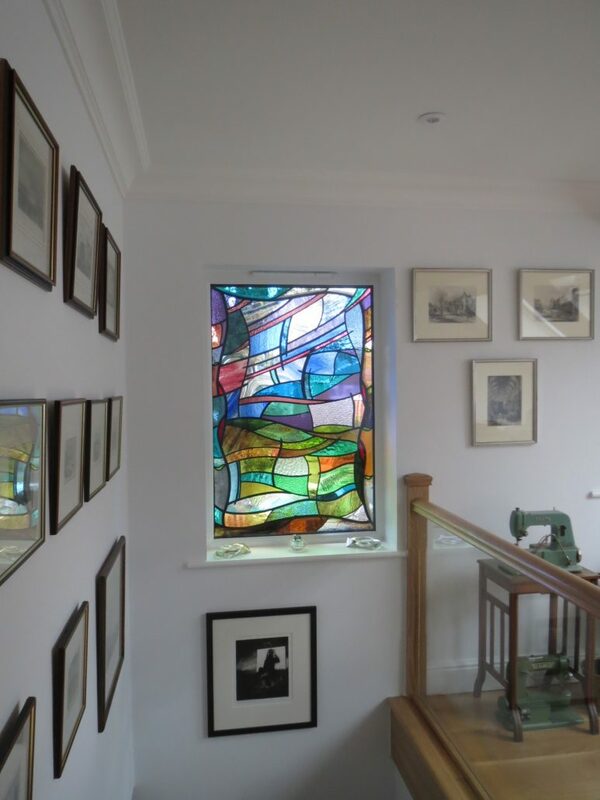 The larger of the two stained glass windows is on the landing and is also set within a sealed unit. 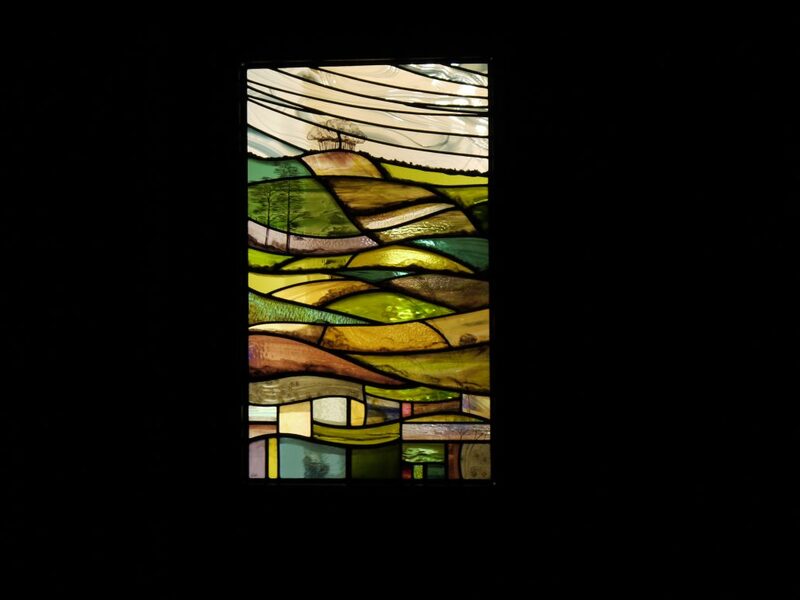 This panel is of a much more abstract design but I have included a hand painted fern or two in the foreground to represent Farnborough or Ferneberga, Fern Hill as it was known in Saxon times.